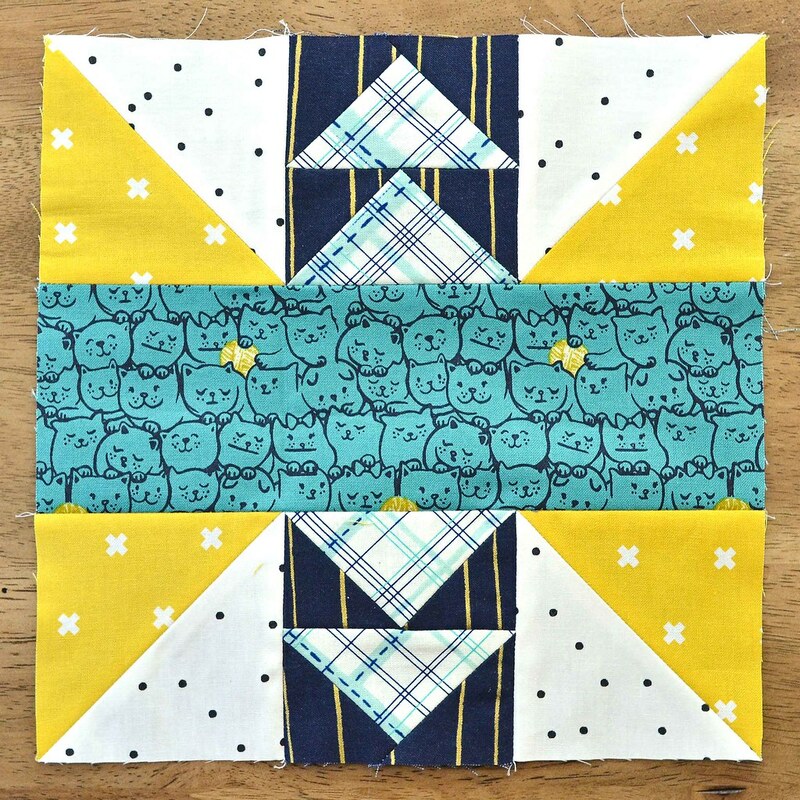 This chapter in the Fussy Cut Sampler is titled "Remixed Blocks." It combines the methods in the book that have been used so far. Block 37. 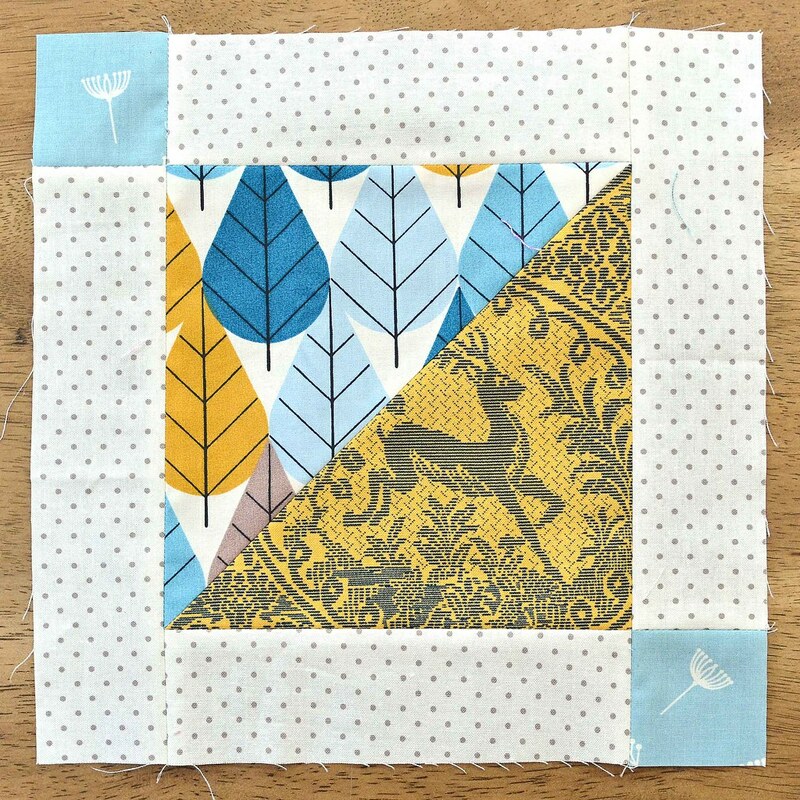 I didn't really follow the directions for this block; it is supposed to create a block without a clear up or down, but I decided to use this fabric instead. Block 38. I love those cats. Block 40. This block imitates stripes. Elisabeth's block in the book uses this same Cotton + Steel print, though she used orange and I used purple, but I liked the way it looked so I used it too. 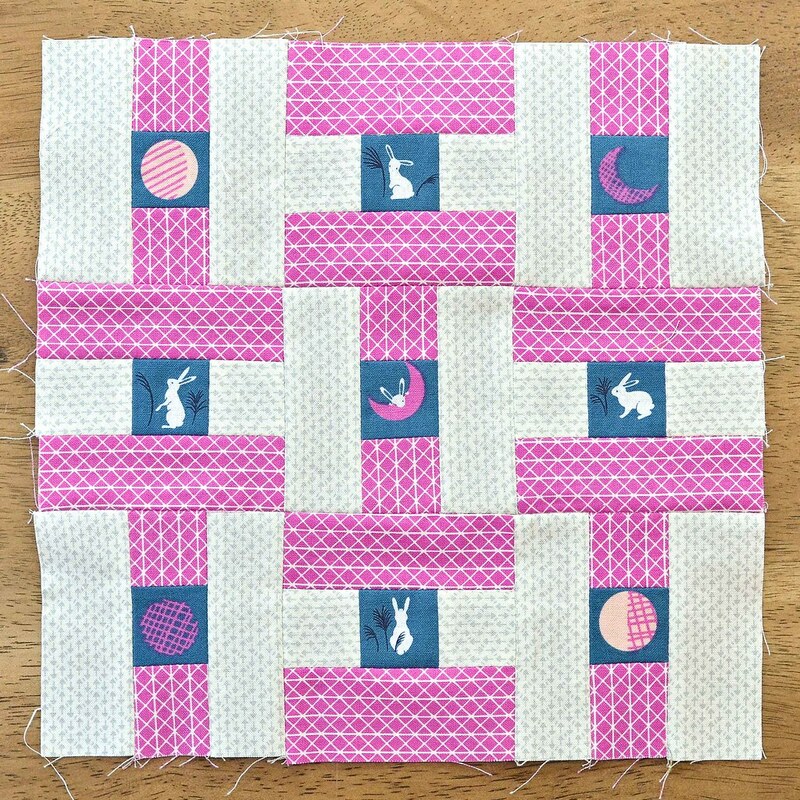 When I got to this block I was very glad I hadn't already used up these bunnies! Check out everyone else's Chapter 10 blocks on Instagram with hashtag #thefussycutsamplerqal. you have shared amazing quilits with pretty patterns , i really like it , i wish i could buy all these, thank you so much for sharing with us, keep us updated, stay blessed. wow amazing quilts desigens specially block prints are beautiful, a friend of mine suggest it to me from a Viralvog, i must appericiate your effort, good luck for future. 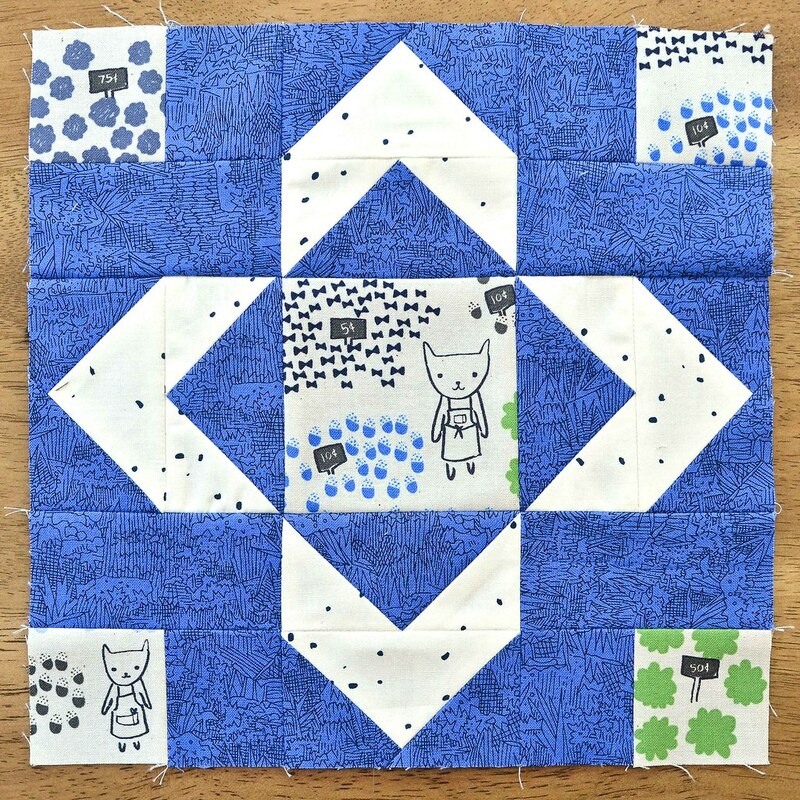 wow i love the kitchen table quilting you have shared specially block prints and stars pattern is just my style, i found it in Colonhub, these are beautiful , thank you so much for sharing with us, keep posting.